These little asiago cheese-topped cheese pastry puffs are bound to be a party appetizer favorite. In 2 quart saucepan over medium heat, combine water, butter and salt; heat to boiling. Reduce heat to low. Add flour, stirring constantly, until dough forms a ball and leaves sides of pan. Remove from heat. With wooden spoon or mixer, beat in eggs, one at a time, until smooth and glossy. Stir in 1 1/2 cups of the cheese. Drop by scant tablespoonfuls onto buttered cookie sheet. Onto each dough ball lightly press a little of the remaining 1/2 cup cheese. Bake in a preheated oven at 375°F (190°C) for 30 minutes or until evenly browned. Reduce oven temperature to 300°F (150°C) . Prick each puff with toothpick to release steam. Return to oven for 5 minutes. 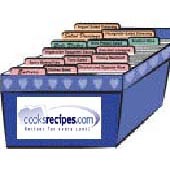 Remove from cookie sheet; cool on wire racks.